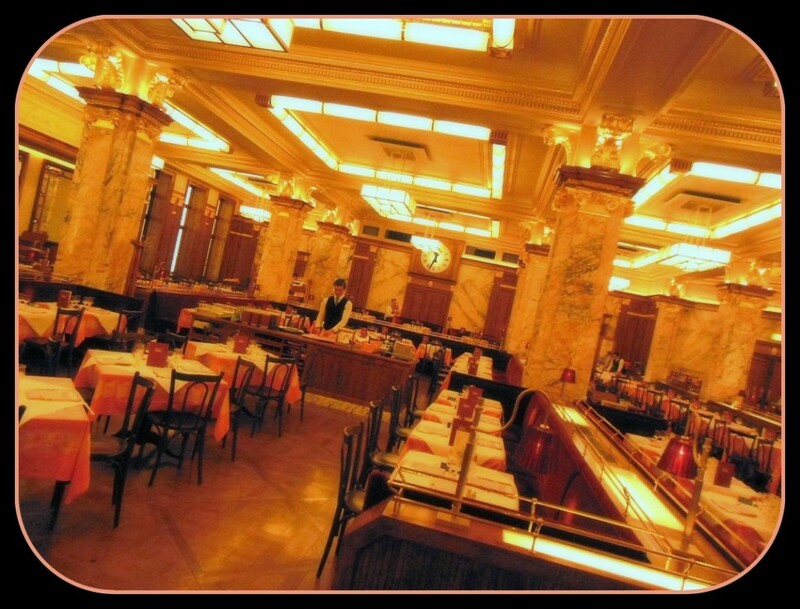 Stepping down into the romantic charm of Brasserie Zédel (20 Sherwood Street, London, W1f-7ED) is like walking through time to 1930s Paris. This art deco Parisian brasserie is a wonderful find in the heart of the West End. A friend led me down away from the maddening crowd into the lovely pink marble and chandeliers of the former ballroom turned modern restaurant. At once I could imagine the rattan chairs and the sweeping palms of the former Regent Palace Hotel. This dining room was the place to be a hundred years ago and is the place to visit today. Since we were ladies who lunch, we had nothing but time on our hands this day to enjoy the wonderful menu and the great service. 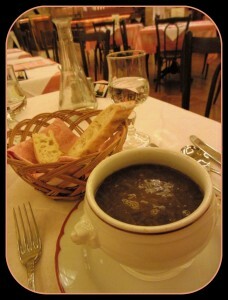 The onion soup was one of the best I’ve ever had and my dessert sampler was c’est magnifique. You can enjoy a lovely prix fixe menu all day where you can pick two selections for £9.75 or three for £12.50, or explore the full menu which is also available all day. Brasserie Zédel is a romantic journey to a time where ladies were simultaneously naughty and demure and men made deals in cigar rooms with strains of jazz playing in the bar. That romance lives here where the cabaret stays open till the wee hours and you can dine on wonderful food and listen to great music.